A useful tool for students to rate their understanding of words and its meanings. 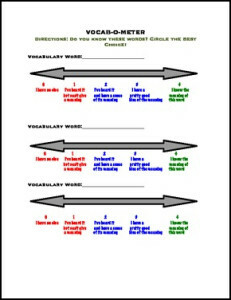 The students write target vocabulary and rate on a scale from 0-4, their understanding of each word and its meanings. ← Valentine’s Day Activity: Word Search!